Our suite of Economics qualifications have been designed to offer students and teachers engaging subject content and variation in the type of assessment. Our qualifications progress from GCSE to A-level by building on topic knowledge at each stage. Both GCSE and A-level specifications consider a wide range of topic areas and topical issues. To assist you in delivering our specifications, we offer a comprehensive range of support and resources including direct contact with our Economics subject team, resources to help you plan and deliver our courses and teacher CPD courses. We’re here to answer any questions you may have about our economics qualifications. 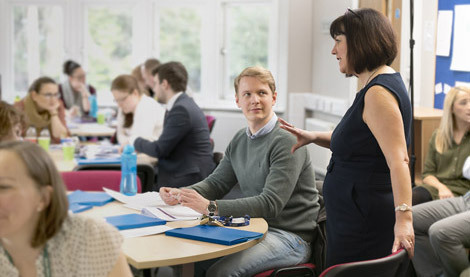 Whether you're currently teaching with us, or considering whether our specifications are right for your students, our team of subject and assessment experts are here to support you. We speak to teachers every day, from every type of school and college, and we're proud of the support we're able to give. Email us at economics@aqa.org.uk if you have any questions or would like more information about this subject. We're collaborating closely with publishers to ensure that you have textbooks to support you and your students with our new specifications for AS and A-level Business and AS and A-level Economics. Once the books have completed the AQA approval processes they will be badged ‘AQA approved’.